Ministers from the Rajapaksa administration acknowledged that rebels and civilians were killed after they surrendered to the military in the final days of the government assault against Tamil Tigers. Tamil war victims, as well as global rights watchdogs including the UN, has been calling for an independent investigation with international participation to determine the fate of tens of thousands who handed themselves over to the military at the end of the war in May 2009. 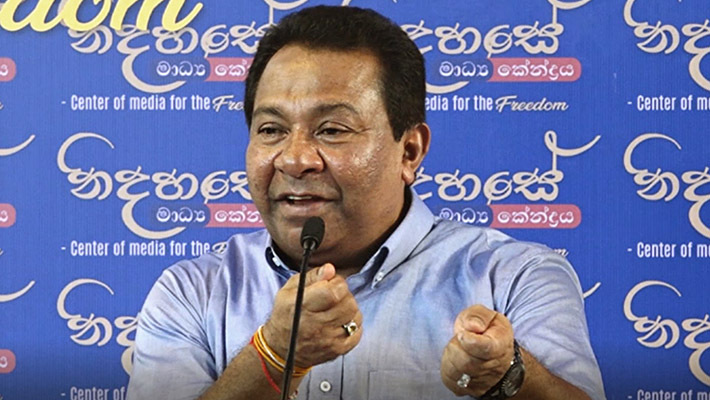 SB Dissanayake, currently a lawmaker from the Sri Lanka Freedom Party (SLFP) led by President Maithripala Sirisena, confirmed on Thursday (13) that many Liberation Tigers of Tamil Eelam (LTTE) rebels were killed in Army custody. He gave the example of LTTE military commander from the east, Thambiraja Thurairajasingham widely known as Colonel Ramesh, who was killed after surrendering to the military. “Ramesh surrendered, and Ramesh was killed,” former Higher Education Minister SB Dissanayake told journalists in a very casual manner. 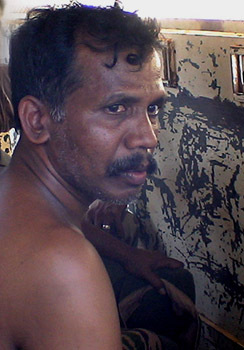 Colonel Ramesh was LTTE’s military wing leader in the Ampara and Batticaloa districts. Ex-minister Dissanayake’s unexpected revelation confirms video footage first broadcast by UK based Channel 4 showing a half-dressed Colonel Ramesh in military custody. Then his dead body is shown covered in different clothes. In the video, one of the soldiers interrogating Col Ramesh tells that the date is 22nd, suggesting that it may have been filmed on 22 May 2009. On 19 May the Sri Lankan government announced that it defeated the Tamil Tiger rebels. The Sri Lanka government and its military, which maintain that Col Ramesh was killed in the battlefield have never conducted an inquiry into the footage as requested by the UN and the government’s own commissions. 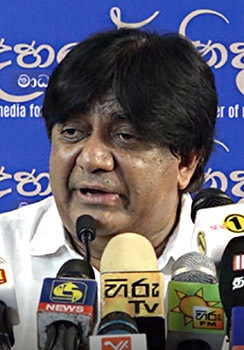 Former Minister of Foreign Employment Promotion and Welfare Dilan Perera who agreed with his party colleague called to establish a truth commission. He accused wartime military commander Sarath Fonseka of “killing not only journalists but also innocent people”. Field Marshal Fonseka, a minister in the present government who denies any involvement has expressed his willingness to testify in an investigation with international participation. The Office of the Missing Persons (OMP) appointed by the government to trace and find the disappeared has repeatedly announced that its priority is to determine the fate of those who surrendered to the military at the end of the war. It has no powers to prosecute perpetrators.